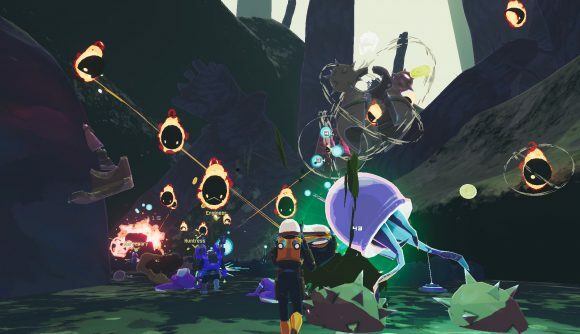 April 4, 2019 Risk of Rain 2 has racked up 650,000 players in its first week of early access. Risk of Rain 2, Hopoo Games’ follow-up to its 2013 roguelike platformer, arrived in Steam’s Early Access program last week, and the game is already a major success. It has an ‘overwhelmingly positive’ review rating and ousted Sekiro: Shadows Die Twice as the top-seller on the platform. According to Gematsu, Hopoo Games’ latest outing has sold more than 650,000 copies in its first week of early access. 150,000 of those players have reportedly taken advantage of the game’s launch deal, which offered a free copy of the game in order to allow players to play in co-op, allowing that figure to potentially rise as high as 800,000. According to SteamCharts, Risk of Rain 2 is keeping plenty of those players around. At time of writing, the game’s peak concurrent player account has risen as high as 69,694. Nice. Hopoo Games has been pleasantly surprised by the enthusiastic reception their game has received. In a post to the game’s community page Saturday, the developer began with “HOLYMOLY,” written as an acrostic. The post goes on to outline some of the areas where the team is focusing efforts, fixing bugs like a start-up crash and an issue with corrupted save files. There was some initial skepticism over the notion of taking a 2D platformer rendered in crunchy pixel art and making it three dimensional, but it seems as though Risk of Rain 2 has managed the transition well. It looks nice, too. Hopoo Games is currently working out how often they’ll be adding patches and content updates in the future, but thanks to the unexpected success of Risk of Rain 2, it’s probably safe to guess that they’ll be supporting it for quite some time.